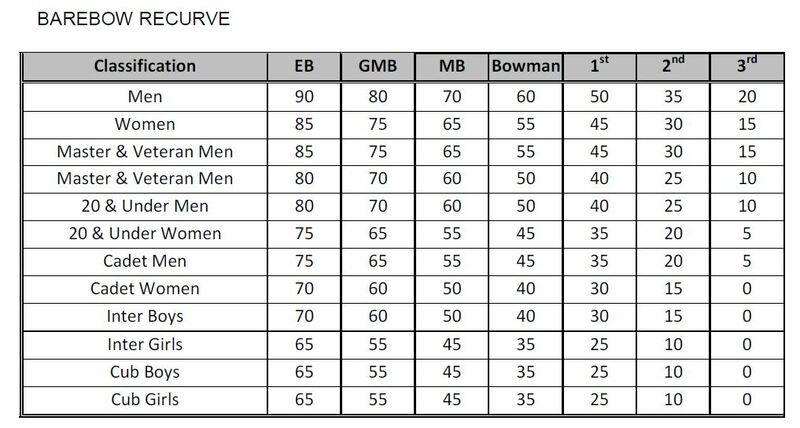 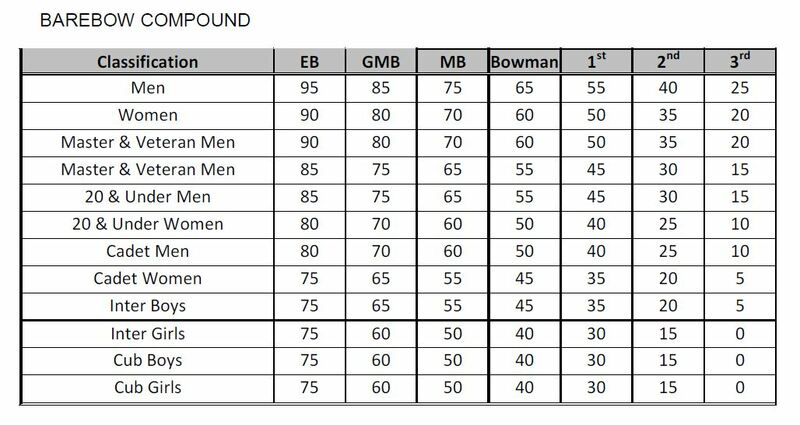 The following tables indicate the Rating Levels to be used for Classifications for Outdoor Target Archery, Indoor Target Archery and Field Archery. 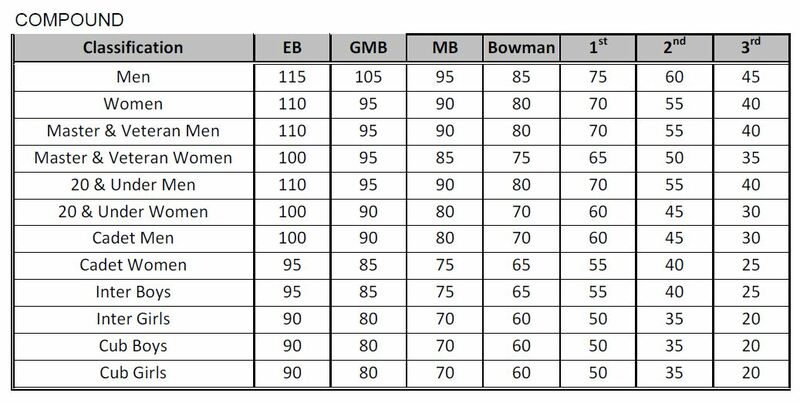 Using the Rating Level listed for your division and equipment style refer to appropriate Rating Table to determine the score required for the round being shot. 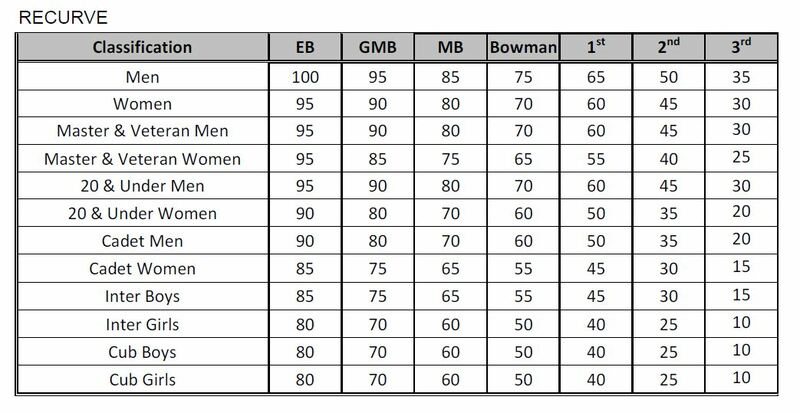 To obtain your rating for an individual scoring shoot see the Club Recorder.